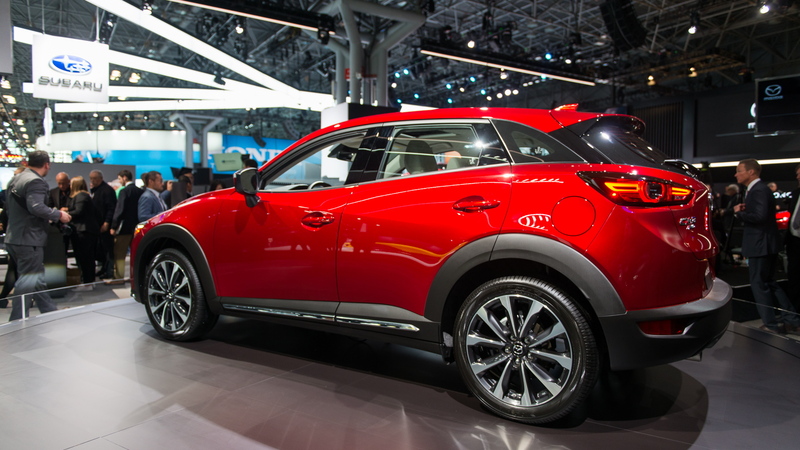 Mazda's CX-3 is a solid option for buyers in the compact crossover SUV segment, and that's before you take into account the good looks. 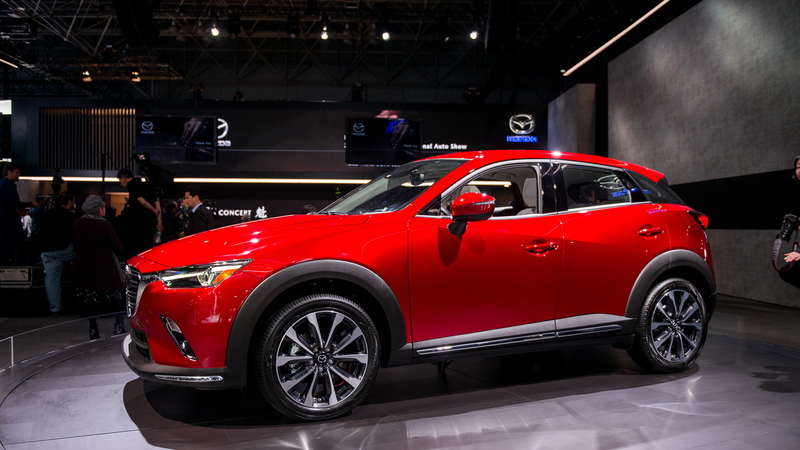 The CX-3 gets a round of updates for the 2019 model year, which were unveiled on Wednesday at the 2018 New York auto show, and thankfully Mazda has kept the parts that work and set about enhancing things that could be better. The biggest change, at least to the eye, is in the cabin. 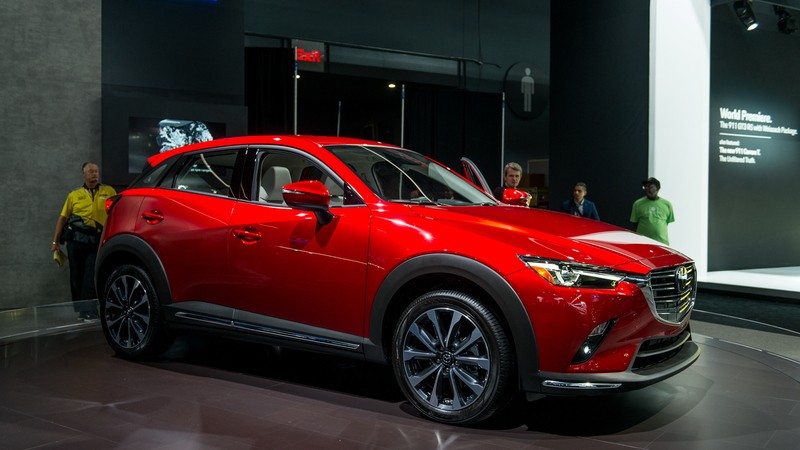 Most notably, the 2019 CX-3 adopts an electronic parking brake that allows for less clutter and additional storage space. Mazda is also offering full leather on the seats, which have been redesigned to provide better support. The automaker says there were changes made to the car to reduce NVH, too. One of these is said to be tweaks made to the standard 2.0-liter inline-4 to make it smoother, more refined and more efficient. No numbers have been released so we're guessing the engine's output matches the 146 horsepower and 146 pound-feet of torque of the 2018 CX-3. A 6-speed automatic and front-wheel drive are standard, and all-wheel drive is available for those who need it. The 2019 CX-3 goes on sale later this year. Pricing should start close to the $21,050 starting price of the 2018 model. 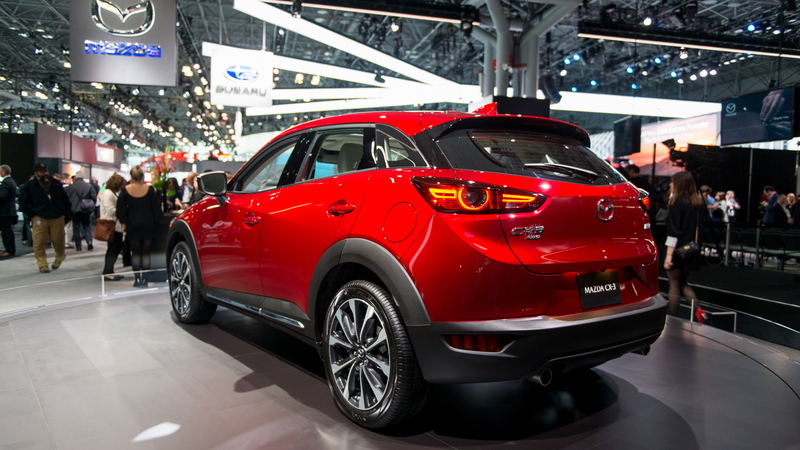 Mazda also used the N.Y. auto show to make two key announcements. One was reconfirmation of its new plant to be opened in Huntsville, Alabama in partnership with Toyota. The plant will start churning out cars in 2021, with Mazda to source a new SUV there. Toyota will use the plant for its Corolla. The second announcement was a pledge to reduce CO2 emissions by 50 percent compared to 2010 levels by the year 2030. 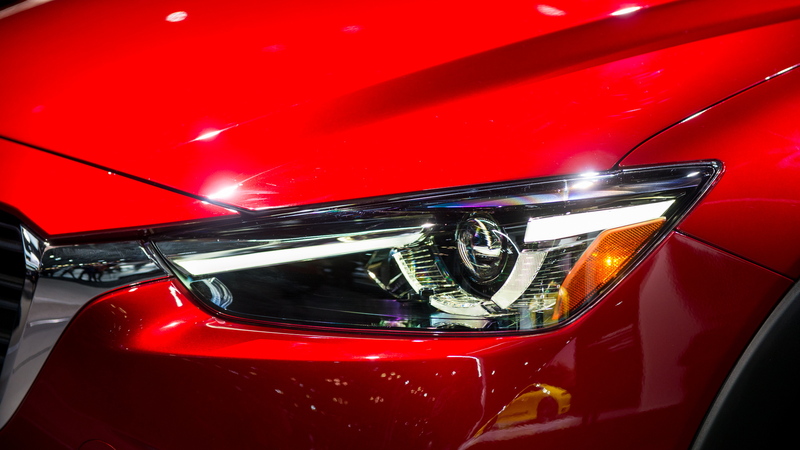 Key in reaching that goal is the Skyactiv-X sparkless ignition engine, which promises a 20-30 percent improvement in efficiency over conventional engines.